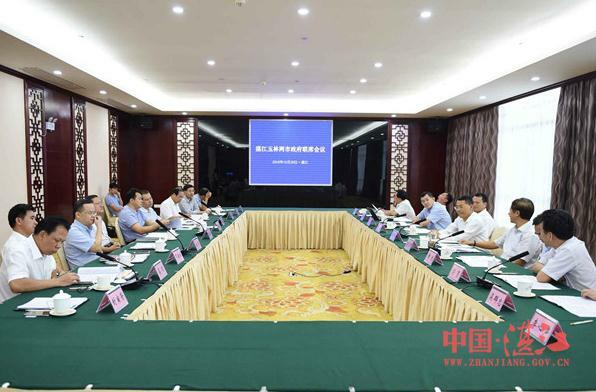 The two cities will work together on projects aimed at reducing traffic congestion, cleaning the environment and promoting eco-friendly economic development in industry and agriculture in areas surrounding Jiuzhou River. A "mother river" for local residents, Jiuzhou River originates in Luchuan county in Yulin, Guangxi Zhuang autonomous region, and travels 162 kilometers before emptying into Beibu Gulf in the South China Sea. Regions that the river passes through have begun coordinating efforts to preserve the environment by drafting measures aimed at striking a balance between economic and environmental development. Zhanjiang and Yulin have previously cooperated in transportation by constructing a high-speed rail line called the Zhanjiang-Yuling Expressway. Eco-agriculture, industrial development and innovative emerging industries are also included in an integration management project drafted by the two sides. 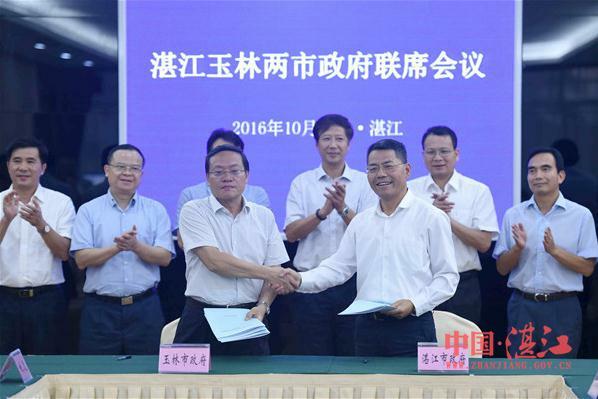 At a meeting held on Oct 26, Zhanjiang and Yulin governments reviewed the achievements and signed a cooperative agreement for further plans, vowing to jointly making areas surrounding Jiuzhou River a better place.